A new generation of sub-second multi-slices computed tomography (MSCT) scanners, which allow a complete coronary coverage, is becoming widely available. Nevertheless, they need to be associated with 3D processing tools to quantify the coronary diseases. 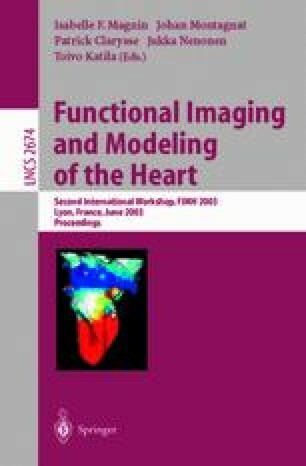 This study proposes to evaluate a new 3D moment-based method for the extraction of the coronary network and the calcification localization in MSCT. We called on two medical experts respectively in coronarography and radiology to carry out this evaluation. It was based on a comparison between extracted vessels and original scan data with objective and subjective criteria. This preliminary study has been performed on a set of six data sets, which included pathological patterns such as dense and scattered calcifications. These results confirm the good performances of the method with high scores of sensitivity and constitute a first step toward the detection of coronary networks in MSCT data.